Shot clocks will be used at all ATP Tour tournaments from 2020. 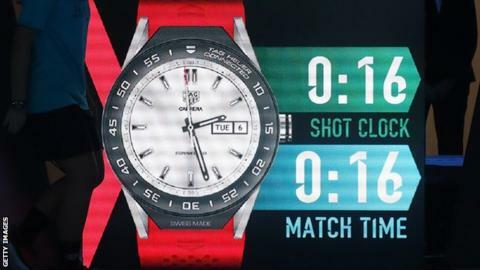 The clock - which counts down the 25 seconds allowed between points - was trialled at the Next Gen ATP Finals in 2017 and was first used in a Grand Slam at the 2018 US Open. World number two Rafael Nadal previously criticised the device and said it could "ruin the entertainment factor" in tennis. The WTA will also use shot clocks at Premier-level tournaments in 2019.